Recent picture I just received. 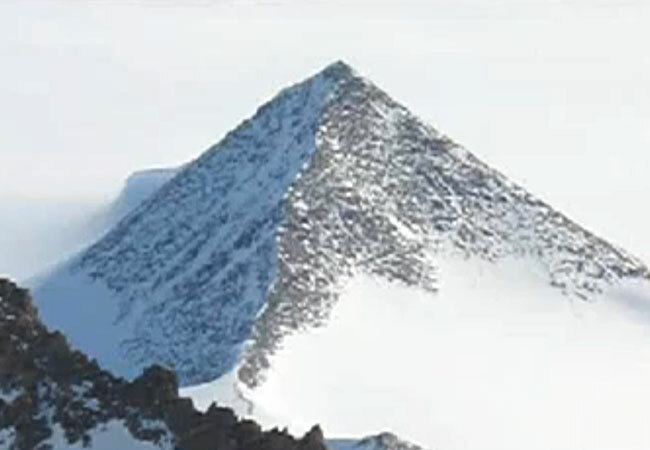 Three ancient pyramids have been discovered in Antarctica by a team of American and European scientists. Two pyramids were discovered about 16 kilometers inland , while the third was very close to the coast, according to media reports . An expedition to the bizarre structures should meet the intriguing question whether natural or artificial. The first reports on the pyramids appeared in Western media last year. Some photos have been posted on websites with a comment that the strange structures could serve as proof that the ice-covered continent used to be hot enough to have been an ancient civilization living there. Currently , we still know little about the pyramids, the team continues to remain silent about the discovery . The only reliable information provided by scientists is that they planned an expedition to the pyramids to research in greater depth and to determine with certainty if the structures were artificial or natural . No details on the timing of the shipment have been offered to the curiosity of the media. Where the researchers show that the pyramids are artificial structures , the discovery may force revision of the largest in human history ever made.